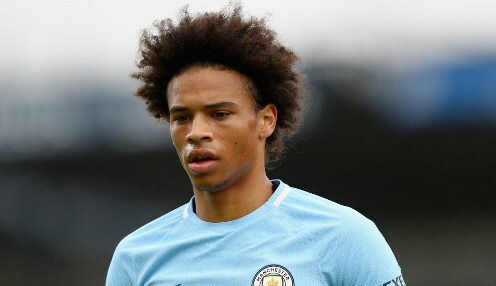 Manchester City wideman Leroy Sane has been challenged to regain his starting spot, having been left out of the squad altogether for the 2-1 win over Newcastle United. The Germany international forward has yet to start a Premier League game this season and was forced to take a watching brief at teatime on Saturday as the Citizens edged past the visiting Magpies thanks to a thunderous strike from Kyle Walker. Leroy was so important last season and hopefully will be important for us this season. Afterwards, head coach Pep Guardiola dismissed talk of a rift with Sane and challenged his player to show that he deserves to regain his position in the Citizens starting XI. The Spaniard told reporters: "We have six strikers. Last time Phil Foden wasn't in the squad. I was sad to leave him out as I never see him training bad. "We have a big squad and today it was Leroy, maybe next day it will be another one. Another day Raheem is out, Riyad or Bernardo or Sergio or Gabriel. "We have six strikers and I took that decision on the opponent and what I saw every day. Leroy was so important last season and hopefully will be important for us this season. "In the next games he will be ready to play. He played ten minutes (against Wolves) and he tried. He was not precise, but he tried." City have taken ten points from a possible 12 so far this season and are now priced at 4/7 to retain their Premier League title, with Chelsea available at 12121/1 and Liverpool 11/8.